What follows is a submission we got in from Lasker Emanuel, a player that has recently took up the trade of solo PVPing and is sharing with us some of the basics, through the lense of his experience. Learning to solo PvP in EVE is hard. Many people have played the game for years and never really got up and running with solo PvP. EVE is a sandbox game, so you have to create your own content rather than simply queueing for a match like you might in many other games. It’s easy to get stuck in an unfair fight and lose your T1 frigate to a gang of Worms and sometimes you roam for a long time only to find nothing. Even then, when you lose your ship is destroyed and if you want to keep flying you will need another. All of that said, flying solo is a blast. EVE is a harsh landscape and learning to carve out a niche on your own is very satisfying. EVE has no mechanics for making a fight fair, but it has enough depth of play that it’s possible to enter an unfair fight and emerge victorious. When you fly solo you don’t have to wait on an FC to log in and form a fleet, just undock and start looking for trouble. Lastly, flying solo teaches you a lot about EVE mechanics and can make you a better pilot for whatever else you do in EVE. Ironically, one of the first things I would recommend for solo PvP is a good corporation. While you are learning to solo PvP you are going to paint your killboard fairly red. You will have setbacks and frustrations and there will be a lot of things that you need to learn. Having the support structure of a corporation with knowledgeable people that you can comfortably share your wins and losses with will help you greatly on your journey.. If you were learning chess or judo, you would seek out a good club that had members that were both knowledgeable and had a good attitude and the same is true here. If folks in your corporation give you a hard time because you are “making the killboard stats worse,” you may be in the wrong type of corporation for learning to solo PVP. If you have a corporation that is prepared for the losses you will incur while solo PvPing, the next step is to prepare yourself. Developing skills will involve a large number of losses. If you planned to learn chess or judo, it would be insane to show up at a club with an expectation that you would simply win every match. You will lose, a lot, and that’s life. The goal is to learn as much as you can from each loss. The big differences with EVE is that you have to put a lot of work into finding an opportunity to lose and its subsequent economic loss. A little of that is flying in fleets and some of the losses are pods but the vast majority of both the kills and losses are ships flying solo. Let’s imagine you want to lose 100 ships in a month. For most people, that means we are talking about frigates, maybe very cheap frigates. 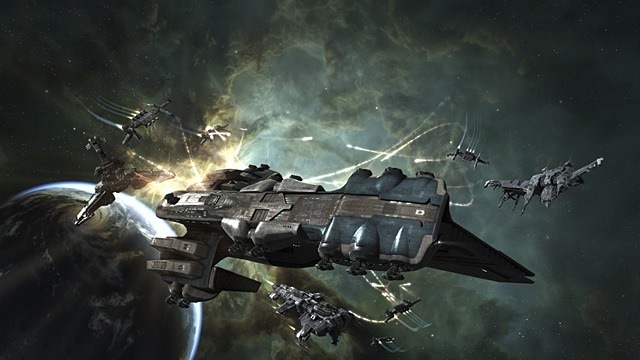 Everyone in EVE has different economic resources but you need to be prepared to lose a lot of ships. For me, that ended up being frigates that cost between 10-20M. I think that at the start of your adventure you should recognize that you are going to make an investment in your education. An investment which will need to be practical in regards to how much you can afford to invest and what fits you should fly as a result. A final note about corporation support. In the month of October, my corp had 1616 kills and 423 losses. I made up almost half of the losses for my 100 person corporation and no one said a single negative word. People instead celebrated with me as I hit milestones (first faction kill in a T1, first pirate kill in a T1, etc. ), and had tons of helpful advice. I don’t think you can understate the importance of this kind of support network. The logistics of getting setup to PvP come next. Let’s say we are planning on flying a number of frigates into the fire and we want to know where and how. The easiest area of space in which you can find fights is the Faction Warfare lowsec. You don’t actually have to be in Faction Warfare to enjoy it but these sections of space have lots of folks flying around in frigates looking for solo PvP, and FW plexes mechanics lend themselves to solo PvPing. There are plenty of other places you can visit to enjoy solo PvP in EVE but most of them require either more expertise, more ISK or both. I have done all my flying around the Amarr vs Minmatar zone but I am told the Caldari vs Gallente zone is also good. Figure out what fits you want to fly, buy a stack of them at a trade hub and have a shipping organization drop them off in the zone where you want to fly. When you are choosing a staging station, think about where you are likely to find fights, and what it will cost to move your assets into position. If you are actually a member of FW, also consider that if your faction loses control of the system that you will lose access to the stations. I tend to buy fits in stacks of 10-30, using Black Frog Logistics to move them into place. Set your home station to where you have your pile of frigates and you are ready to go. As you prepare to undock I have one last piece of advice: Instead of flying in a fashion where you are trying to win as much as possible, try to fly in a fashion that you learn as much as possible. 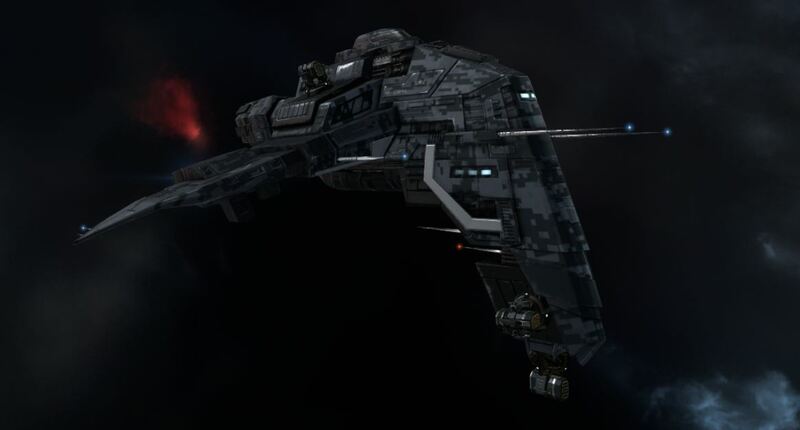 EVE is a complex game and getting stronger will be intertwined with learning everything you can. It’s 100% ok to take a losing fight if you can learn something from it. The first month I was solo PvPing I burned out a module in almost every fight and I made endless mistakes. While a Tristan versus a Federation Navy Comet fight is definitely not good odds, especially if you are new, it can still give you valuable experience in managing your drones, range, heat, and also not panicking. After every fight try to figure out what happened. Can you look at your opponents killboard and figure out what fit they were flying? Can you drop it into PYFA and compare it to your fit? Were they faster? Did they have better damage? What did you do wrong? Can you find streams or youtube videos of the fit you flew against and learn more about it? You can learn from fight that are slanted against you, but if you spend all your time holding out for the perfect fight you will cut into valuable experience you could be gaining. If you can use all of the good EVE educational resources out there and couple them with maximising the experience you get in-game, you will experience significant growth in your solo PvP game. In closing, I would like to thank everyone that helped me get off the ground: the members of Pentag Blade and the broader Provibloc that provided support and advice; EVE’s community of streamers, video makers, and article writers that have produced a huge body of work on this amazing, complex, beautiful game, and my many fine opponents that were willing to take the time to undock, blow me up, and teach me how the game is played. Lasker Emanuel is a member of Pentag Blade, one of the many fine corporations in CVA. He is an avid PVPer, student of the game, and video maker. He can often be found flying solo around low sec picking difficult fights, and even from time to time in fleets.